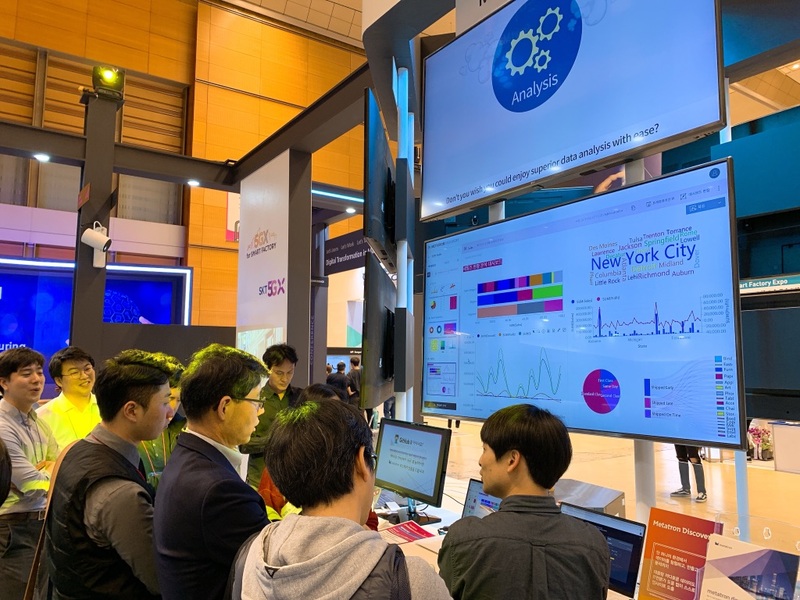 Metatron Discovery took part as a booth at Smart Factory + Automation World held in Seoul from 27th to 29th. 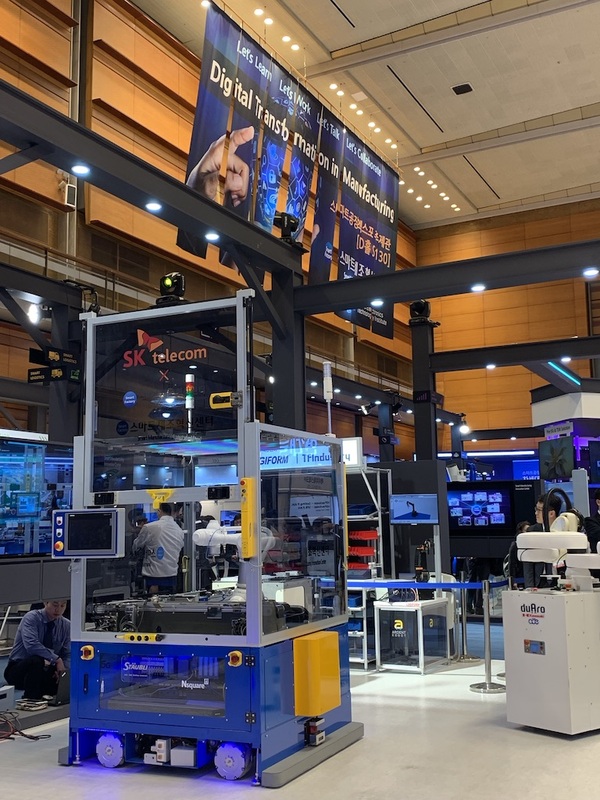 Smart Factory + Automation World 2019 is Asia’s leading industrial automation exhibition with a 30-year tradition including 490 companies and 1,750 booths. 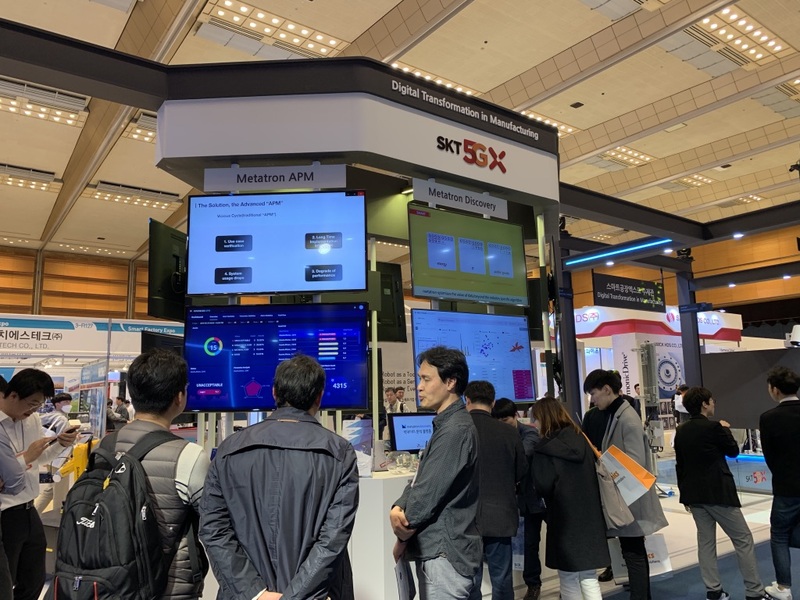 Major companies such as Simense, Schneider, Rockwell Automation, Hyundai Heavy Industries, Posco ICT, and Hanwha participated in this year. Our booth was at the “Smart Manufacturing Innovation Center” exhibition hall. Various research technologies for “smart manufacturing” were exhibited together at this hall. Here Metatron Discovery showed a live demo for the whole features we got. Also we introduced the new extension applications powered by Metatron Discovery. One is a “workflow integrator” and the other is an “anomaly detection” application. Refer to the “Product > Application” page for the detailed introduction for the applications. 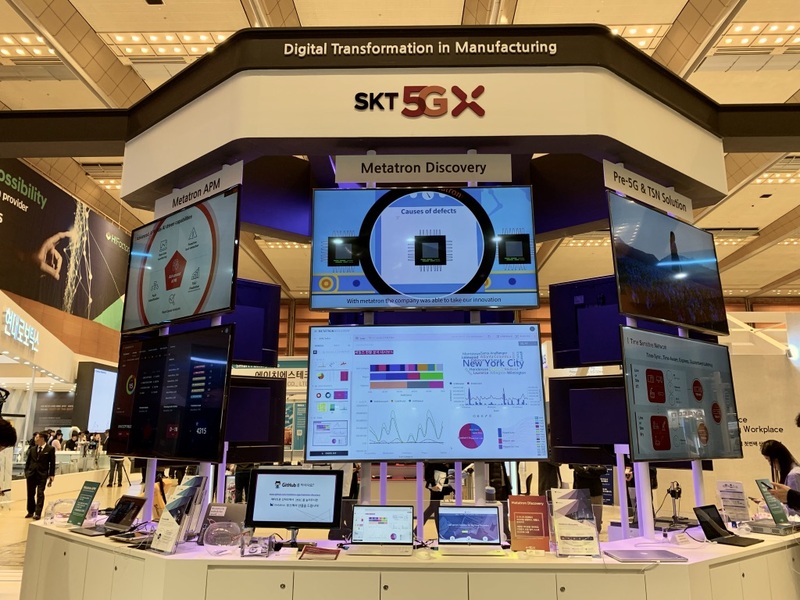 In addition, we exhibited Advanced APM, a solution for managing equipments in manufacturing which is developing jointly with Bistel by utilizing Metatron Discovery. It will launch at 3Q in this year. Overall, the fair was a great opportunity to meet new users and partners together! This blog constantly updates upcoming events. See you at another exhibition! Next: Next post: Metatron Discovery 3.2.0 minor release is out!